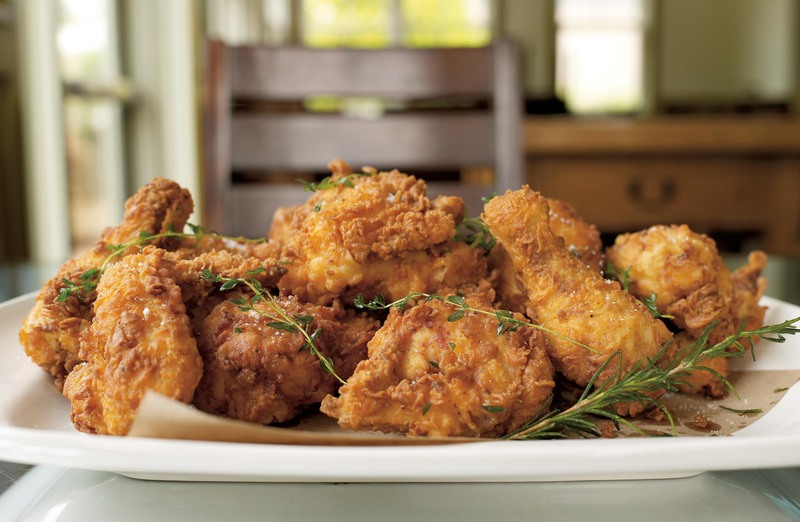 Fried chicken is American comfort food at its best. It’s also a hotly debated topic: pan-fried or deep-fried, flour dredge or cornmeal crust, buttermilk or brine, peanut oil or duck fat? Whichever method and ingredients you prefer, we can think of no better day to cook up a big batch than National Fried Chicken Day. Here’s one of our favorite recipes! It’s the version Chef Thomas Keller serves at Ad Hoc, and it’s got a cult-following. And check out our handy how-to on making perfect pan-fried chicken. Bon appetit! Next Post Vive la France!! Celebrate Bastille Day with us! His recipe is the best… good reason it’s got a cult following!